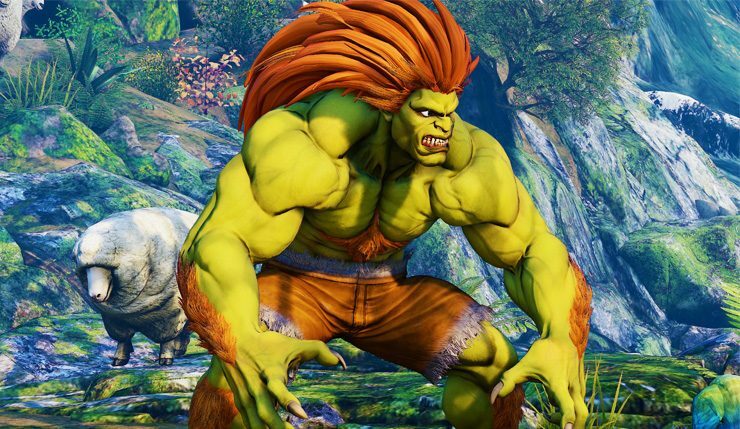 Street Fighter V finally adds good ol’ dependable Blanka to its roster this month and Capcom has released a trailer, which shows off some of the green guy’s new moves. You can check out the trailer and a quick Blanka bio, below. “First appearing in Street Fighter II, Blanka (birth name, Jimmy), survived a plane crash over the Amazon and learned to fend for himself by fighting wild animals and developing survival skills. He eventually found his way to civilization where he met Sakura and Dan and developed deep friendships with them. Blanka’s mother, Samantha, happened to see him on TV and tearfully reunited with him to bring him home. Blanka immediately ducks for cover for a short time before rising back up. His V-Skill can avoid many attacks, including fireballs. After performing Coward Crouch, Blanka can follow up with either Wild Lift (Punch Button) or Raid Jump (Kick Button). Wild Lift sees Blanka move forward while swinging his arms up to launch the opponent in the air and can be followed up by a normal, special move, or even a Critical Art. Using Raid Jump, Blanka swiftly jumps in the air where he can use any mid-air attack to advance. Blanka’s V-Trigger I gives his special roll attacks more damage and can then be followed up by certain attacks, including his Critical Art. It also powers up his Electric Thunder and changes the animation so Blanka steps forward while unleashing the electric current. On hit, the opponent is launched slightly in the air and can be followed up with a rolling attack. Lightning Beast unlocks a special move, Rolling Cannon (Direction + HP+HK), which can be performed after using Rolling Attack, Back Step Rolling, and Vertical Rolling. Rolling Cannon can be used in multiple ways, such as extending a combo for more damage or changing positions to surprise the opponent. In this Critical Art, Blanka slams his opponent into the ground in a series of electrifying rolls that ends in a move reminiscent of Lightning Cannonball from Street Fighter IV. 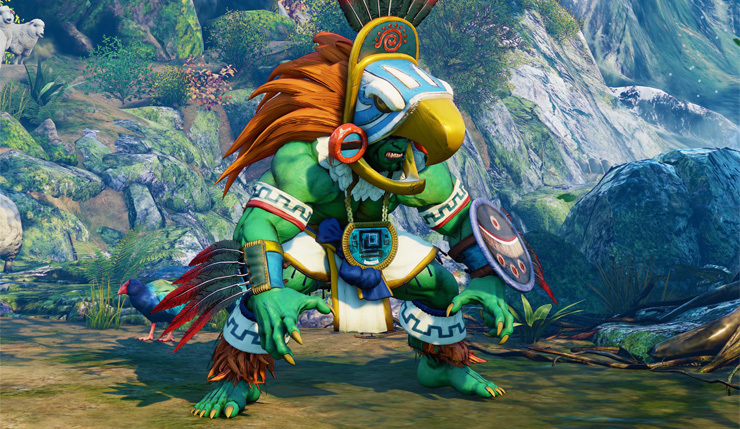 Blanka is the second of six characters included in Street Fighter V’s third season. The Street Fighter V Season 3 Character Pass also includes the already-released Sakura, Cody, Sagat, and new fighters Falke and G, and will set you back $30. Characters can also be purchased individually for $6 or for 100,000 worth of in-game Fight Money. Street Fighter V is available on PC and PS4. Blanka rolls onto the scene on February 20.